After the release of his self titled debut album over a year ago, Matthew Smith returns to the stage with his new band of talented musicians - aptly named ‘Deep Water Creek’. They will be playing songs from his first album and also new and unreleased material. His new direction encompasses both the old and the new Matthew Smith. A mix of his early rock influences with his love of alt-country and folk give way for a dynamic live show and a sophomore album in the pipeline. Someone recently called Deep Water Creek ‘Sonic Country’. They have had a busy summer with shows in Hagley Park supporting Jorden Luck, playing at Lazy Sunday in the Botanic gardens and topping it off with an appearance at Nostalgia Festival. 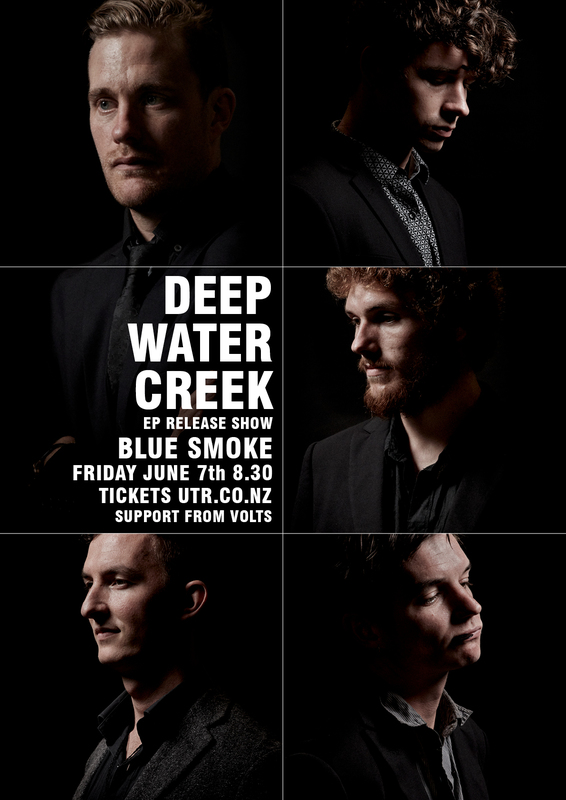 Deep Water Creek are on the move and will release their debut EP at their own Headline show at Blue Smoke on June 7th.